What’s eight and a half Coors Light cans tall and a mile long? 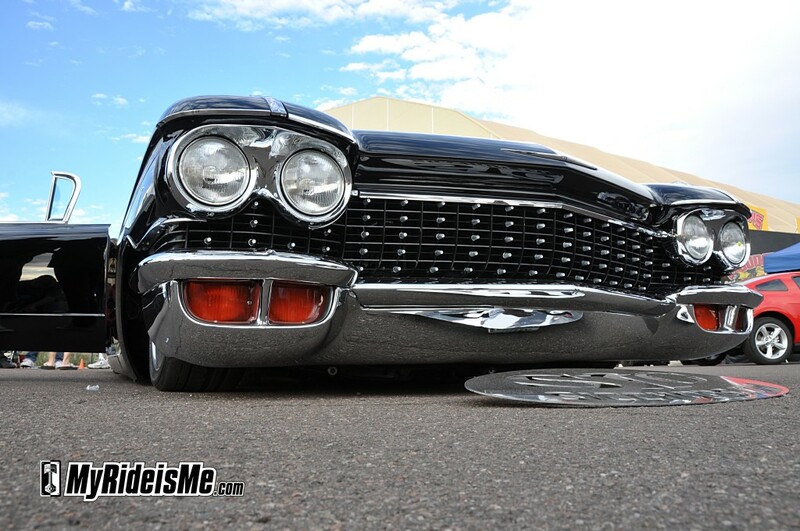 This 1960 Custom Cadillac built by Scott’s Insane Chops in Lake Havasu City, AZ for owner David Hoekstra. It’s got to be obvious by now, right? I shoot and publish stories about cars I like. You’ve probably seen I have an, arguably un-natural, hankerin’ for wagons, but I also like what’s more mainstream too… if you call 225 inches of laid out Caddy mainstream! Need more evidence Sic Chops knows custom Caddillacs? Check out his latest, a chopped 1959 Cadillac Convertible. With ’bout 2300 cars packed into West World for the 2011 November Goodguys show, it takes a special bling to stop you in your tracks. 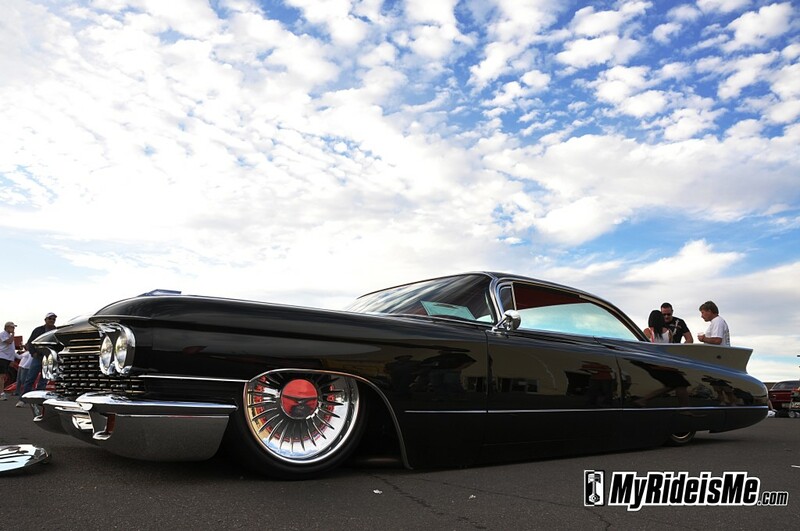 This 60 Caddy did it so well the ‘guys moved this car to front and center for all to see. Makes for great visibility and crappy photos with heads poking out all over the place. Still, the graceful elegance of the now 44 inch tall bad-to-the-bone Caddy woulda shined through any crowd. One of the things, many things… that stand out on this ground hugging Cadillac is the paint. When you shoot black paint, it’s gotta be straight. When you’re shooting what was calculated to be four football fields of ultra-straight blackness, take it to another level: Perfection. Looking down the body, I’d say “SIC” got it right. 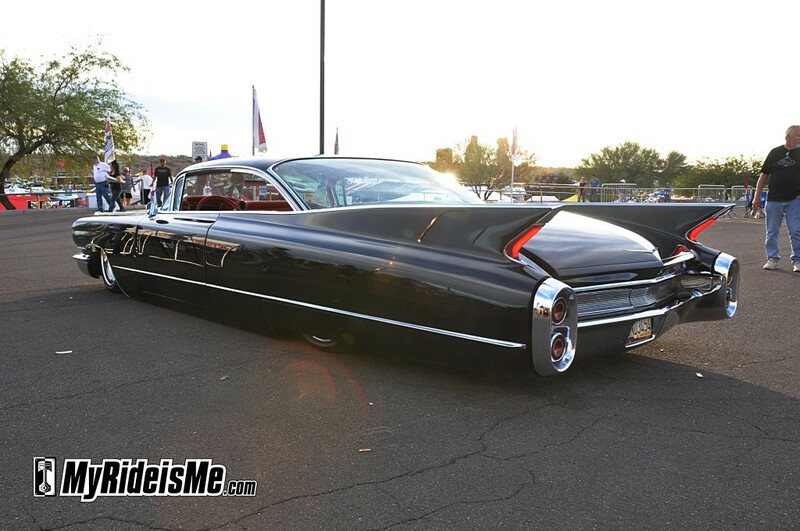 Scott Laitinen, the owner of Sic Chops did all the work, including the paint and bodywork and build on David’s Caddy. 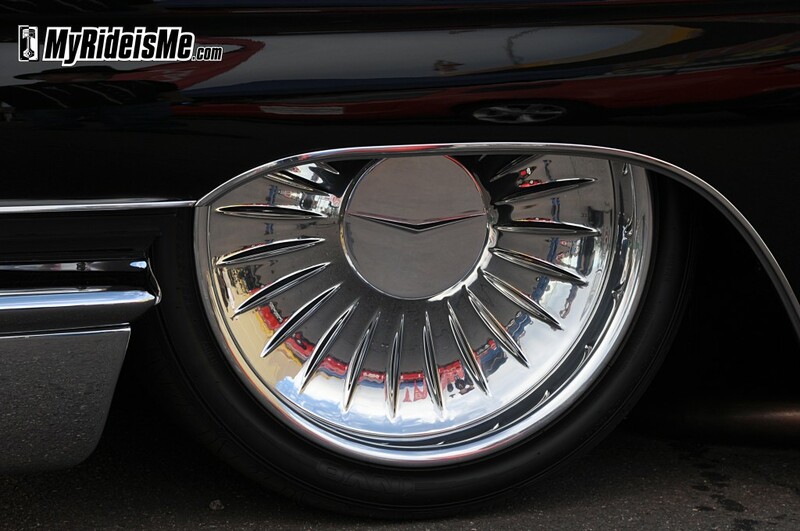 By now, you’ve got to be wondering what’s up front… I’ll give you a hint… it’s original Cadillac powered. 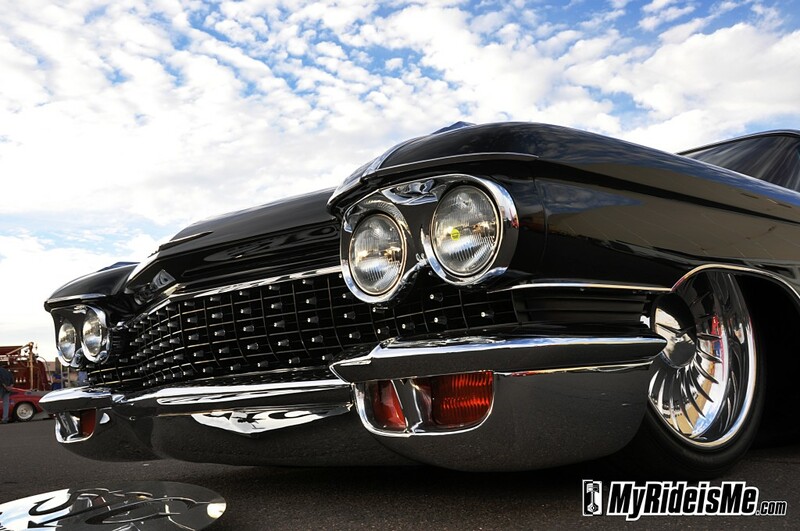 The original 1960’s Caddy’s came with either the 325 horse of the 345 horsepower found in the Eldorado models. Displacing 390 cubes, they were brisk with about a 10.3 second 0-60mph time. 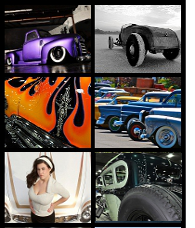 More popular for hot rodding, Cadillac also put out the 472 and the big daddy, the 500. What would fit in a custom like this? How about Cadillac’s CTS-V LSA motor? The only part of the car SIC didn’t do is the interior. With only eight months needed to finish the outside, two months were needed by Tim Case, also in Lake Havasu, to fully customize the inside. If anything original is retained here… it’s been customized! 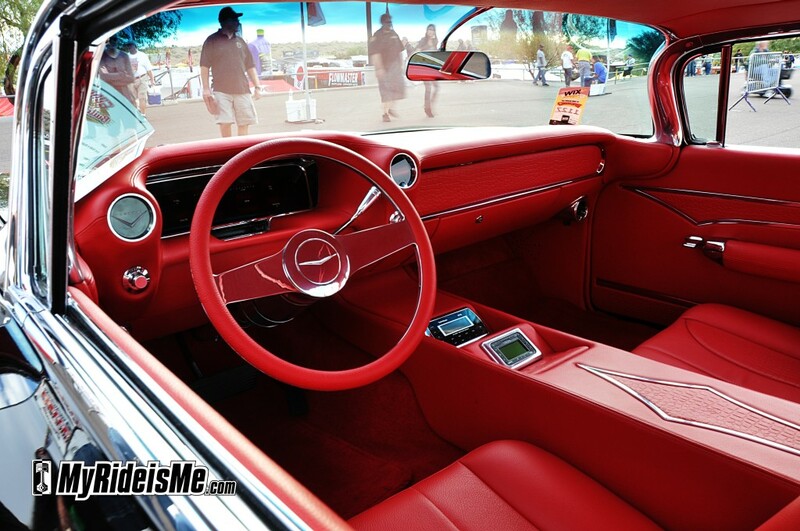 The blood red interior pops against the black exterior making both look all the better. Digital air ride control and audio wait for your fingertip control and a digital dash reads warp speed and tons of boost. Barely visible in the blue-sky-blessed shot up top, here’s a closer look at the 20 and 22 inch one-off Colorado Custom wheels. Sport’n what looks like a slightly flattened “V” logo in the center, these dubs almost look like polished hub caps. Slick! 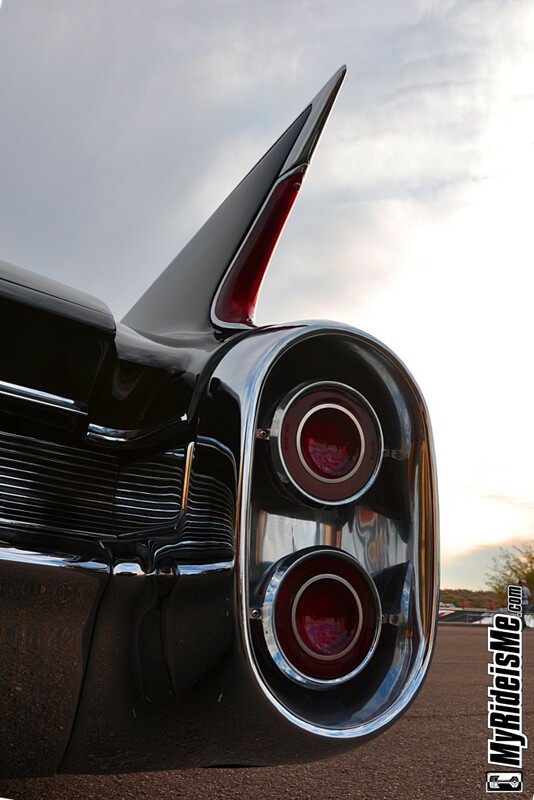 Believe it or not, the 1960 Cadillac tail fins where a clipped down version of 1959 Cadillac. Still a key feature, however, designer Ed Taylor turned the dual bullets into a tidy, blended strip tucked into the very back of the fin. Supplementing that light, dual exhaust port-like brake lights were fit into a vertical oval that also held the backup lights. I couldn’t stop photographing it! Finding this Caddy and meeting builder Scott and owner David made my show. It’s a tough choice for my favorite of the show, so I’ll call it a tie with a 39 Buick I’ll feature next. Make sure to check out the SIC Chops homepage and to leave a comment below. 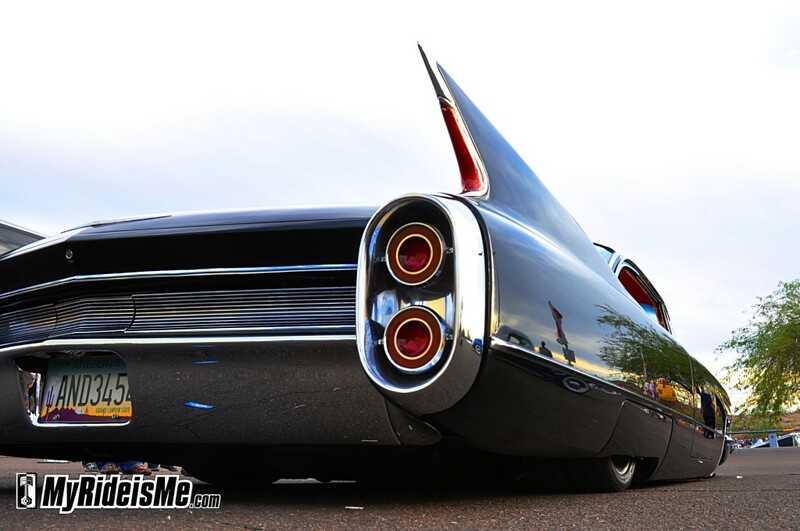 Is this the coolest 60’s Cadillac or what?! An awesome job for sure, how close is this to absolute perfection! 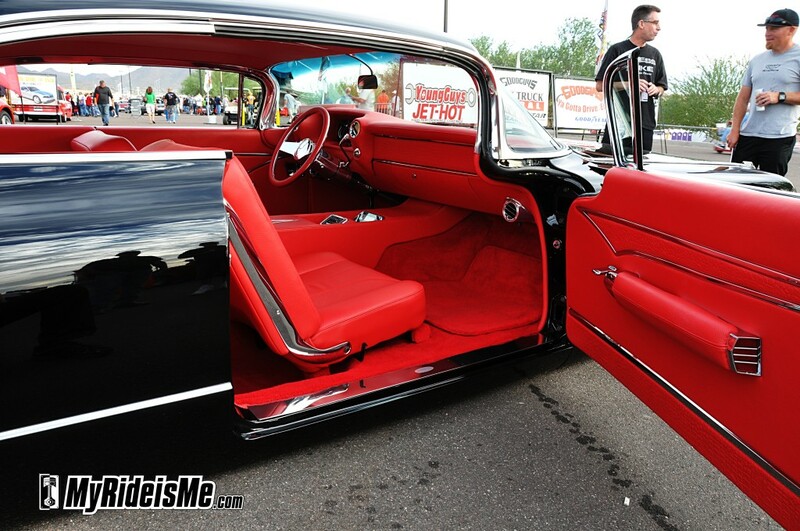 My friend Tim sure made that red interior ‘pop’ in contrast to the incredible body and paint. It all makes me just want to go hang out at the shop(s), and watch the masters! Wow. It’s not often a new build stops me in my tracks, but that is one seriously slick ride. WANT! 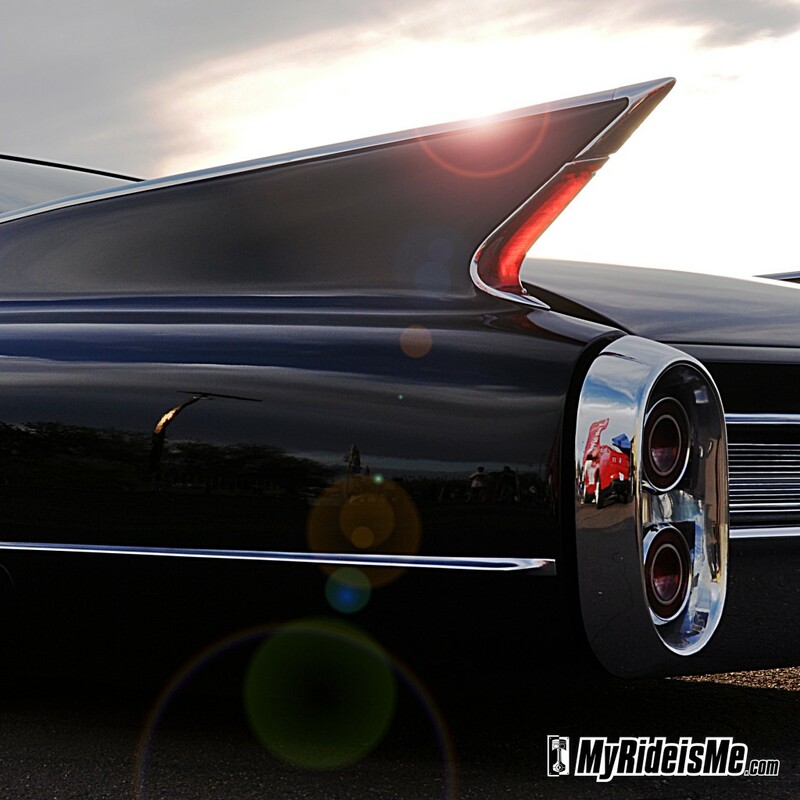 The Lines on GM’s Late 50’s and early 60’s were at the Zenith of American Car Design, don’t need much to make them look cooler, just lower the suspension, custom interior and preferred wheels and ….voila, just take a look at this Caddy , sit behind the wheel and you’re ready for liftoff. That is one sweet car…I would love to own something like that!! You must be very proud of that BABE!!! Where did you get those amber lens for the front turn signals on that 60 Cady I’d like to get some for my Cady , also who made the steering wheel?